Girl Power! 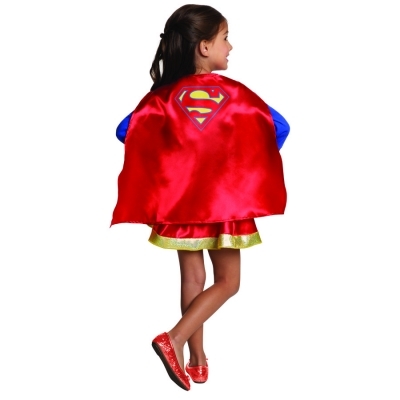 From the DC Comics Collection from Imagine by Rubie’s, the Supergirl ensemble includes a red satin cape with embroidered logo and matching pleated skirt. Well made and looks durable.